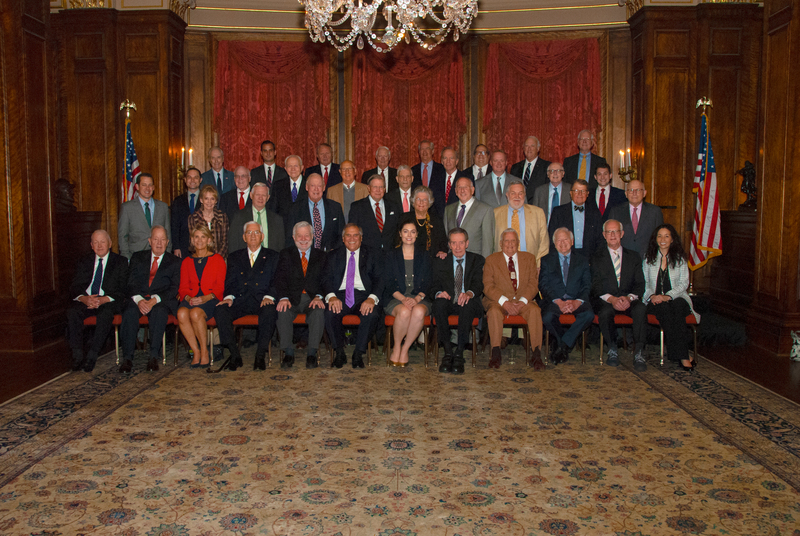 Nixon Administration Reunion in Washington, D.C. The Nixon White House Policy Planning Staff gathered in Washington D.C. on November 7th and 8th, marking the 50th anniversary of Richard Nixon’s election as the 37th President. Nixon family members were in attendance including President and Mrs. Nixon’s daughter Julie Nixon Eisenhower and granddaughter Melanie Eisenhower, and President Nixon’s brother Ed Nixon. More than 50 former administration officials and special guests attended the reunion events. Nixon Foundation President Bill Baribault gave a presentation of Nixon Library programs and events over the last year and the Foundation’s plans for 2019. This group meets every fall to celebrate the anniversary of the founding of the Domestic Council and the Office of Management and Budget established under President Nixon in 1970.